Comments: PRICE, LOCATION, AND CONDITION, THIS HOME HAS IT ALL! Incredible value in this newer home at a great price!! 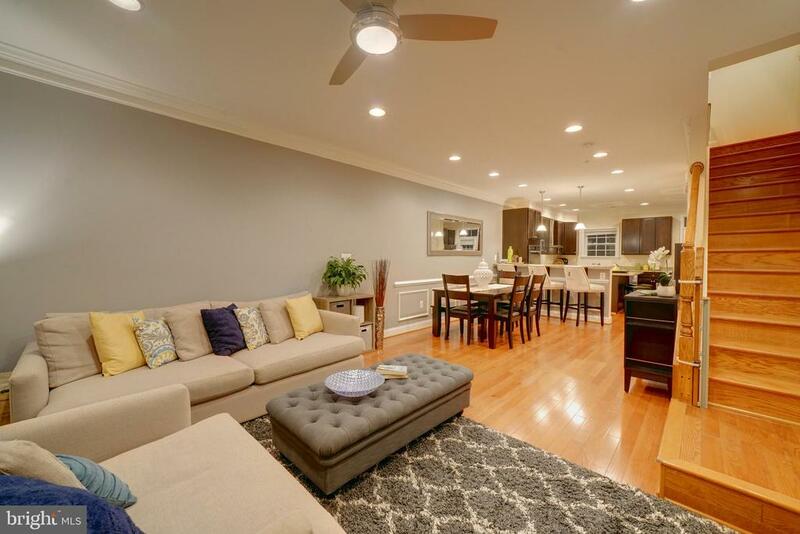 Enjoy the Federal Hill charm without the high maintenance costs of an old rowhome! This gorgeous brick front townhome built 2014 near downtown is waiting for you. Spacious rooms accompany this open floor plan. Plenty of natural light shines through. The combination of a built-in garage and rear driveway offer parking for 3 cars! No city home is complete without a rooftop deck and this one is sure to please. Spectacular views and unique "green roof" with an organic area to call your own. It is great for pets! The original owners have enjoyed the home and you will too. Let's not forget the modern conveniences! The Kitchen features Granite countertops, SS appliances including a 5 burner gas stove and access to the deck. There are hardwood floors on stairs and throughout the main living level, 9' ceilings, custom moldings and neutral paint colors. Each bedroom has a full bath. There is a powder room for guests on main living level too. The gas heat and central air conditioning utilities are energy efficient. And talk about LOCATION! It is near I-95, Rt 295, Rt 395, Rt 695, MARC Camden Line, Ravens Stadium, Oriole Park at Camden Yards, Federal Hill Park, Fort McHenry, Under Armour, University of Maryland Medical Center, University at Baltimore, University of Maryland medical schools, University of Maryland Law, Maryland Science Center, restaurants, museums, parks, a dog park, shopping, and all things Federal Hill! Schedule your personal tour today!